If you think that cleaning your car is a dreary and complicated task, then you are probably using the wrong tools and deploying the wrong technique. I created a helpful guide to the best and proper way to clean a car. If you missed it, you should spend a couple of minutes to read it. In this article, I reviewed the 7 best car wash soaps that you can buy today. Are you still using dish soap to clean your car? You should stop immediately. Seriously. Dish soap is bad because it will strip the paint of wax and oil, the very same components that are designed to protect your paint and give it a showroom shine. Yes, I will have to admit that dish soap can quickly remove tough dirt from any surface. For example, tire blooming is quickly remedied by washing and lightly scrubbing the tire sidewall with dish soap. Tire blooming is a term used to describe the brown hue that accumulates on the sidewall of extremely dirty and abused tires. Dish soap is an effective remedy for this. But not for the paint. You can test it yourself. Wash one side of the hood using soapy water from dish soap, and use a quality car wash soap on the other side. Rinse well and check the results. You will immediately feel that the side washed with dish soap is going to feel rough and dry. Simply run your dry hand over the paint and see for yourself. The side of the hood that was cleaned using a high-quality car wash soap will feel finer and smoother. It will look glossier as well. 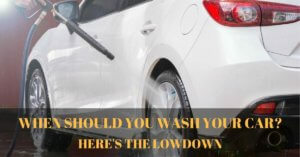 Such is the importance of using the best quality car wash soap or car shampoo. I highly recommend washing your car at least once a week, even in winter. And for that, you should only use the finest quality car wash soap that was specifically formulated to lift off dirt and grime from the paint without dulling or harming the finish. All of the 7 car wash soaps that I tested are considered the best in the business, but they are not the same. Each has a different formula even though they all serve the same purpose: to clean the paint while preserving the finish. 1. Rich and foamy suds. When it comes to car wash soaps, foamier is better. Specifically, foams and suds that are designed to lift off dirt, grime, and grit. This type of formula will make the washing process easier and more pleasurable. 2. Wash and wax formula. 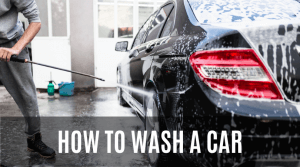 There are car wash soaps that can effectively remove dirt from paint, but there are those that are formulated to leave a light coat of wax on the surface. This is perfect for in-between applications of wax and polish. 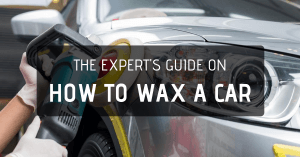 This type of formula will also help to preserve the integrity of the wax on the clear coat. The best part is that wax and wash formulas will also prevent dirt and dust from clinging on the paint.I’m not saying that wash and wax formulas are superior compared to ordinary car wash soaps. Some say that this type of car shampoo will leave streaks on the glass and windshield. Some even say that they are difficult to rinse off. 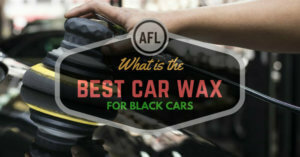 My advice is to use wash and wax formulas if you don’t w﻿ax﻿ ﻿﻿y﻿﻿our car often. But for ordinary applications, a simple car shampoo will do just fine. 3. Compatible to use with foam guns. It is safe to assume that all liquid car wash soaps are compatible with foam guns or foam sprayers. 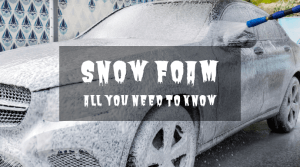 If you are lucky enough to have a foam gun, then you should use it each time you wash your car. 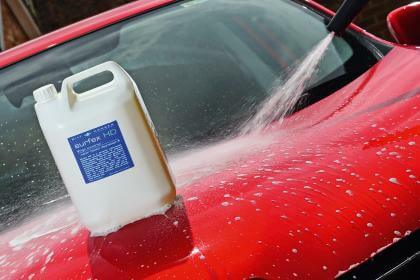 Of course, you can still do it the old-fashioned way (using a bucket of water to dilute and foam the car shampoo) but using a foam gun will reduce the occurrence of swirl marks on the finish. Why? 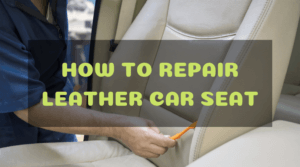 Because you are applying a clean foam of soap on every surface of the car, instead of repeatedly dipping the car wash mitt in a bucket. 4. If your car has a matte or satin paint job, then you need a car wash soap that is specifically formulated for matte finishes. In this regard, I highly recom﻿﻿mend using ﻿﻿Dr. Beasley’s Matte Body Wash. This is one of the finest car shampoos for matte or satin paint jobs. It doesn’t contain fillers, polishes, or waxes that will ruin the appearance of matte paint, but it is powerful enough to remove dirt, mud, grime, and insects to produce an even sheen. Featuring a unique blend of carnauba and synthetic polymers that will gently clean paint while leaving a fine coat of wax. This will leave a protective and glossy finish with each wash. When it comes to aftermarket detailing products, there is no question that Meguiar’s is one of the best. The Ultimate Wash and Wax is one of the best car wash soaps that I have tested. It even works well on both light and dark-colored finishes. This car wash soap has a PH balanced formula with incredible foaming action. If you previously thought that wash and wax shampoos are not foamy enough, then wait until you try the Meguair’s Ultimate Wash and Wax. It would be foolish not to mention the Meguiar’s Glod Class Car Wash Shampoo and Conditioner in our list of the 7 best car wash soaps. 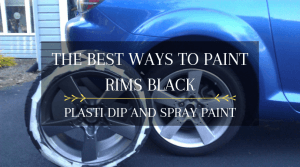 This is the choice of automotive enthusiasts and connoisseurs the world over simply because this product will improve the color, clarity, and shine of even the most expensive paint job. The Meguiar’s Gold Class Car Wash Shampoo and Conditioner features rich paint conditioners in a safe and biodegradable formula. 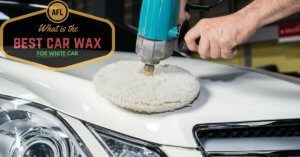 It is designed to gently foam away dirt, mud, and road grime while preserving the existing wax in your paint. Best of all, this product produces a very rich foam that you can see and feel. One wash is all it takes to make you a believer. The unique formula of the Chemical Guys Extreme Maxi-Suds II is what makes it one of the best car wash soaps in the market today. It is formulated with water softeners that prevent water spots and streaking on the paint even if you washed your car under the hot sun. The Chemical Guys Extreme Maxi-Suds II is all about the foam. Based on the name itself, this car shampoo produces a lot of foam that removes dirt, dust, and mud without stripping off the wax or sealant from the paint. In fact, this car wash soap is designed to deliver a constant release of rich foam with every stroke of the wash mitt. The highly-concentrated formula has a sweet cherry scent that actually smells like the real deal. It makes you feel like washing your car inside a spa. What I really like about the Armor All Car Wash is that you only need a very small amount in order to wash an entire car. In my opinion, the consistency of this product is excellent. A little car wash soap goes a long way. 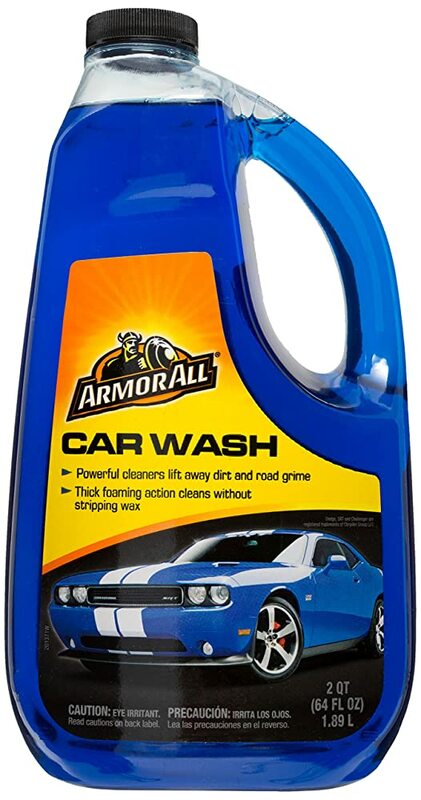 If you know Armor All as the maker of the original dashboard protectant, then you’ll be proud to know that the Armor all Car Wash is also one of the best when it comes to car wash soaps. It is powerful enough to clean even the toughest automotive dirt and grime, but it leaves a streak-free finish with every rinse. It will not strip the wax off your paint, unlike dish soap. This is not a wash and wax product, but it is still safe to use on all types of automotive finishes. 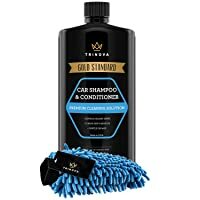 What I personally like about the Trinova Gold Standard Car Shampoo and Conditioner is that it comes with its own car wash mitt. This is not exactly a deal breaker, considering the Trinova Gold Standard is a bit more expensive compared the other entrants in this list. But it feels good to use a fresh and clean wash mitt each time you buy a new bottle of this excellent car shampoo. I’m saying excellent because I tried using this product to clean the big front gate in my ancestral home. The big and dark-colored metal gate had an endless array of water streaks caused by acid rain. 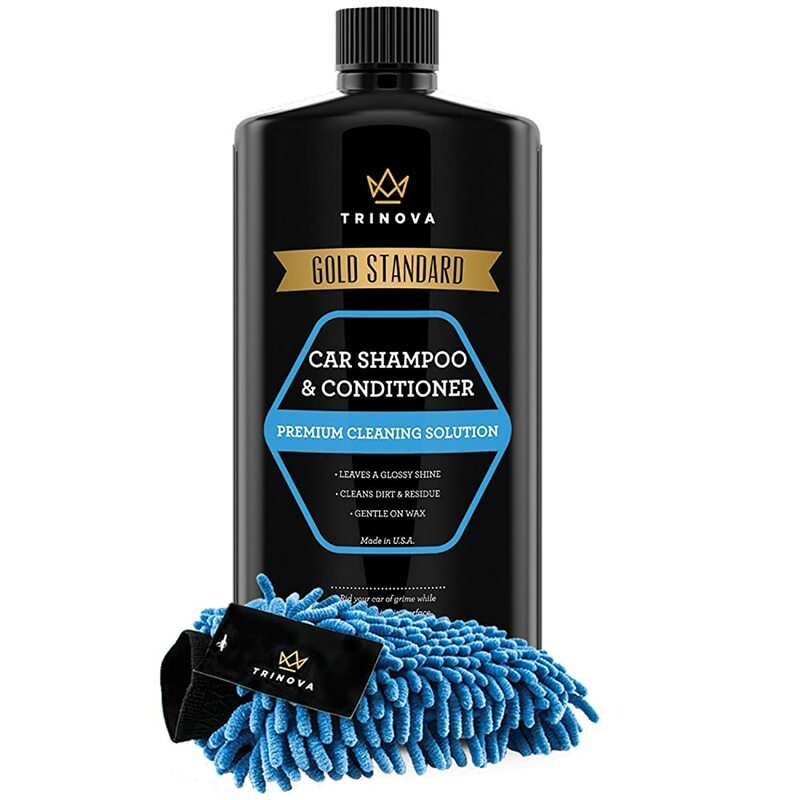 I happen to have the Trinova Gold Standard Car Shampoo in my trunk, so I gave it a go. The cleaning and conditioning formula of this car wash soap was excellent in removing dirt and water streaks from my parent’s gate. I knew beforehand that this product worked great on automotive paint finishes, but I was surprised that it is an ideal all-around cleaner as well. The Mother’s California Gold Carnauba Wash and Wax are swimming in the same ocean as the Meguiar’s Gold Class. This product is also renowned in the premium detailing industry, and it is also a wash and wax variant that leaves a coat of wax with every wash. In terms of performance, they are definitely alike. The Mother’s California Gold is formulated to encapsulate dirt and smudge so they can simply glide off the paint. It can easily dissolve stubborn dirt and grime while giving your paint a just-waxed appearance. 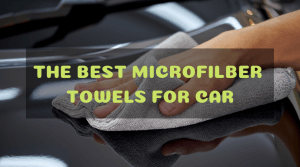 However, I did find out that when it comes to car care products, each manufacturer formulates their products to be compatible with their other products sold in the market. If you use the Mother’s California Gold Pure Brazilian Carnauba Wax in your paint finish, then you should wash your car using Mother’s very own California Gold Wash and Wax. Believe me, the results are just astonishing. The first time I tried Turtle Wax’s line of ICE products, I was absolutely impressed. It was unlike any car wax I’ve tried before. I was wondering if the Turtle Wax ICE Car Wash will leave a similar impression, so I was excited to try the product. As it turns out, there is a reason why this product gets high remarks. Featuring an innovative blend of surfactants (cleaning agents), lubricating agents, and surface conditioners, you can feel the car wash mitt as it effortlessly glides off the paint, removing dirt and contaminants in the process. This is a wash and wax product with Smart Shield Technology. While encapsulating dirt and preventing it from re-entering the paint, it also leaves behind a gloss enhancing agent that produces a just-waxed look after every rinse. 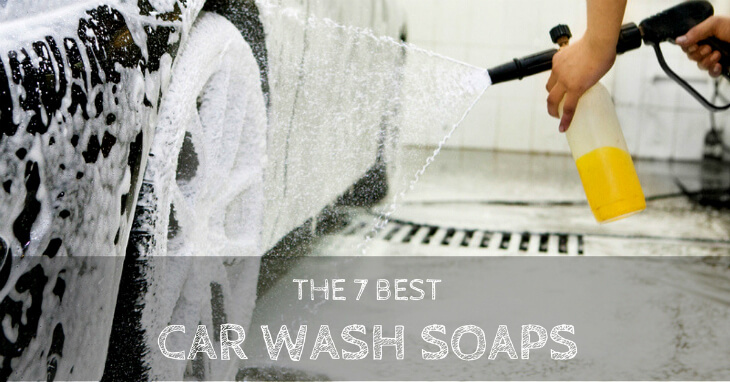 It is hard to choose a winner from our list of the 7 best car wash soaps. I stated earlier that compatibility will the determining factor in this test since all products worked extremely well with only minor flaws or shortcomings. While I did find out that the Armor All Car Wash and the Trinova Gold Standard are excellent for deep-cleaning applications, the other car wash soaps in this test are designed to work well when used with other waxes and cleaners from the same manufacturer. The shared chemistry and consistency of each product will yield the best results. If you are a fan of Turtle Wax, then the ICE Car Wash is a no-brainer. If you use Meguiar’s wax on your paint finish, then you can’t go wrong washing your car using the Meguiar’s Ultimate Wash and Wax or the Gold Class Car Wash Shampoo and Conditioner. The same principle applies to the Mother’s California Gold Carnauba Wash and Wax. But if I really had to choose, then it’s dead even between the Turtle Wax ICE Car Wash and the Meguiar’s Gold Class Car Wash Shampoo and Conditioner. It’s a tough decision, but someone’s got to do it, right?